CHELSEA — Most of the sounds on this stretch of West 20th Street are not surprising. Taxis zoom, buses whoosh and passers-by chatter on cell phones. But, in the lobby of a nondescript office building, you can hear something more unusual for this neighborhood — gunshots. The basement is the site of Westside Rifle and Pistol Range, the only shooting range in Manhattan. 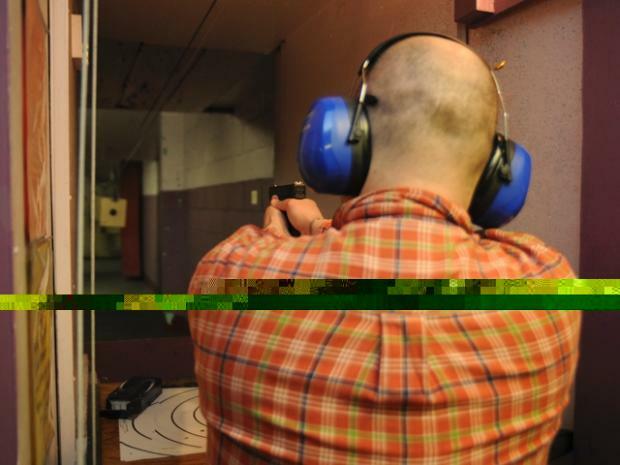 Owner Darren Leung says that, while he serves licensed and experienced handgun owners, demand for his more introductory riflery classes is soaring. In February the range, close to the intersection with Fifth Avenue, offered a coupon through the online discount service at Yelp.com. "They offered 2,000 hits and it was sold out in one night," says Leung. "That tells you exactly what’s going on with this." Leung credited a desire for personal protection as a factor in the increased interest in shooting. But he found a surprising alternative reason for the people coming through the door for target-shooting classes — date night. "A lot of people have figured out that on a date it’s pretty cool to come down and shoot a couple rounds, then go out to dinner," Leung said. He added that New Yorkers who think guns are taboo might get an extra thrill from the experience. On a recent Thursday afternoon, sweethearts Ian Brodman and Nirmala Rampersad came in for their first lesson. By the end, Brodman, 41, was already asking how he could buy his own firearm. Rampersad, 29, was not yet sold. She admitted that she had been nervous at first: "I was shaking when I held the gun." By the end of the session, though, she said she was glad that she'd joined millions of other Americans by giving it a shot. Across the country, sport shooting is more popular than ever with a record 34.4 million people participating, according to the National Shooting Sports Foundation. People are buying more rifle gear too, even as sales of other sporting goods decrease. In 2009, the National Sporting Goods Association reported a 14 percent increase in the sales of shooting equipment from the year before, and a 10 percent hike in participation nationwide over the last decade. Only 11 percent of people in the Northeast have shot for sport in the last year, making it the least saturated region. The highest is the Midwest, at 18 percent. But Westside is proof that the national vogue for shooting sports has penetrated New York City. While handgun permits can take months to process and cost upwards of $400, anyone with $65 and a clean record can sign up for Westside’s rifle workshops. Westside trains interested marksmen and women on old-fashioned semiautomatic .22-caliber rifles.